VFLFOOTY.COM | THE unofficial website for VFA/VFL supporters! If this is your first visit, be sure to check out the FAQ by clicking the link above. You may have to register before you can post click the register link above to proceed. To start viewing messages, select the forum that you want to visit from the selection below. The site is undergoing an upgrade so some features may be a little messed up! Sandringham has launched their new clash guernsey for the 2019 Hard Yakka / Totally Workwear VFL Season. 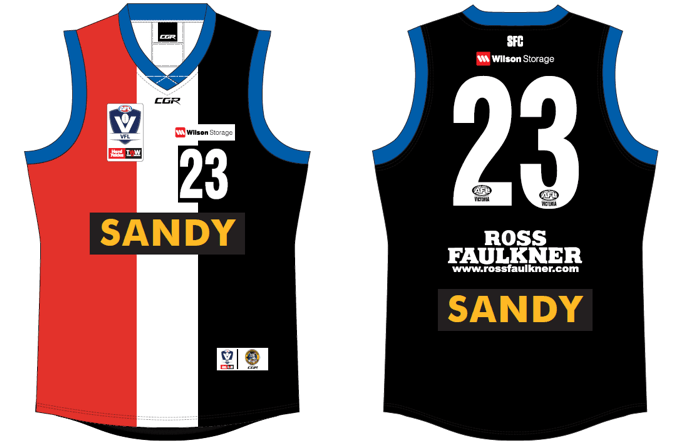 With up to three games scheduled at Moorabbin (RSEA Park) each season from this year, Sandringham and St Kilda jointly agreed on a clash guernsey that sees the traditional Saints tri-colours design utilised with the word ‘SANDY’ in the traditional Sandringham colours of yellow and black on both sides of the guernsey, as well as a blue collar and sleeves. 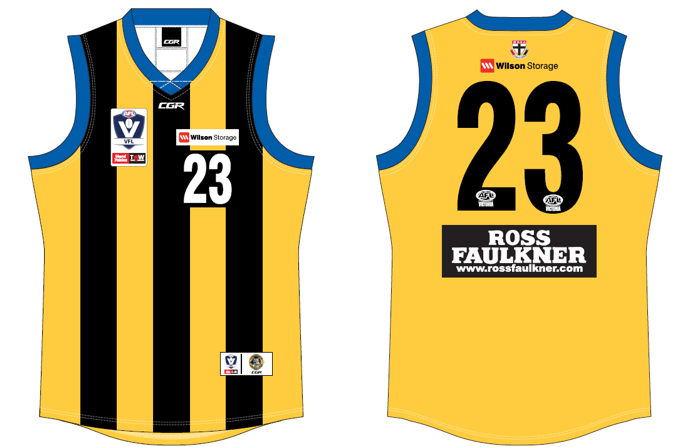 The Sandringham traditional guernsey of yellow and black vertical stripes with blue trim will remain the primary guernsey, with the addition of the St Kilda Football Club logo on the back. The clash guernsey will be worn for the first time this Sunday at Marvel Stadium for the KPA Lawyers Round 2 Sandringham v Box Hill match. The clash and traditional guernseys can be seen below. NICK EBINGER. PICTURE DAMJAN JANEVSKI. A changing of the guard has led to some uncertainty at the selection table for Williamstown ahead of the Victorian Football League season.